Are you searching for the perfect last-minute gift? The ideas below will help you and your loved ones care for the environment, people and animals by being a bit more “green” by minimizing packaging and waste and giving back to those in need. All of this while having some fun too! Ask for and give donations to your favorite charities instead of presents. The options here are almost endless with many great organizations needing year-end help. Some of my favorites are animal advocacy groups and rescues. Adopt, foster a homeless animal or take your loved ones to volunteer at a Shelter or visit an Animal Sanctuary. Cayenne pepper gives these slightly sweet walnuts a piquant kick. If you have a large pan, you can easily double this recipe (Veganized from the website: Whole Living). In a large non-stick skillet, heat maple syrup, oil, and 1 tablespoon water over medium heat. Add walnuts; toss to coat. It’s also great to support small vegan food businesses too! There are tasty vegan foods almost everyone on your gift list will love. Fruit baskets and bouquets are great healthy gifts as well. Give a gift certificate to your favorite vegan restaurant. Prepare a vegan meal for Christmas dinner or host a Christmas party or potluck with delightful vegan fare. There are so many delicious vegan options and pushing family and friends to get creative with their culinary skills can be a ton of fun! Reuse some slightly used ugly Christmas sweaters and you are set for a very entertaining night! Give the gift of health! If you have family members that are stressed, a massage, facial, or trip to a Day Spa may be the perfect way to perk them up. A Community Supported Agriculture (CSA) membership to a local farm is another great way to support local farmers and sustainable agriculture. Support vegan fashion, cosmetics, personal care products and businesses, my goodness the possibly endless and so much fun! Check out one of my favorites: The Compassionate Closet. Pick up some super fun vegan inspired merchandise to spread the compassionate message at Big City Vegan. Give some videos, books, or magazine subscriptions all about vegan lifestyles. There are wonderful children’s (and adult) books that teach children about being kind to animals. KIND News is a great magazine subscription to give the little ones in your life (subscriptions can also be donated to classrooms). Support local businesses– fun hand crafted items that have a very thoughtful appeal; you can find many of these at Craft Fairs in your city. Make gifts from recycled materials, I have done this for years. 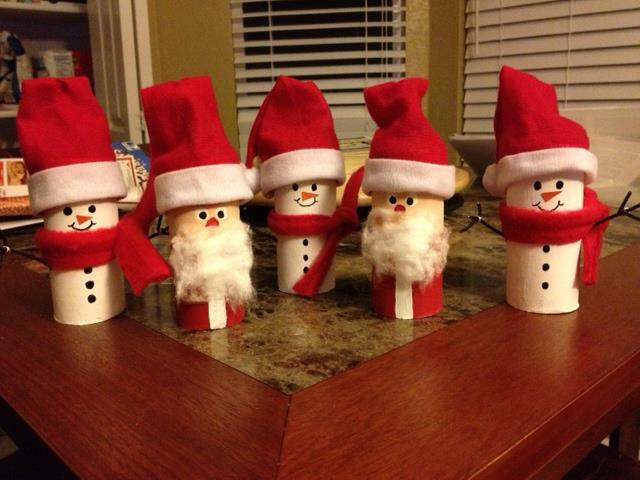 There are so many fun ideas and this is a great project for kids. These can really push you to use your creative skills… even if you don’t have many. You can check out Pinterest for some ideas. 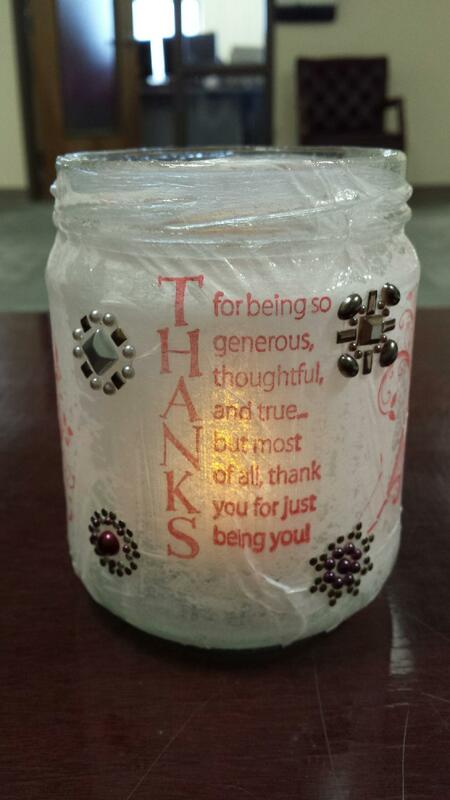 I made this fun candle holder from recycled glass jars and gave them to friends as presents last year. This entry was tagged christmas, christmas gifts, eco-friendly, gifts that give back, healthy snacks, vegan. Bookmark the permalink.